Beach Labyrinth is a new take on an ancient tradition. This is a project run by Andrew Nicholson, formerly Methodist Youth Worker and now of Random Acts of Wonder. This year marks the 60th anniversary of Areas of Outstanding Natural Beauty (AONB). The idea is to celebrate this anniversary by creating a beach labyrinth from the sand in each of the beautiful coastal AONB’s in Cornwall, alongside Golden Tree Productions Kerdroya project who are marking this diamond anniversary with a community Cornish Hedge project across each AONB and ultimately creating a Cornish hedge labyrinth on Bodmin Moor. There are eleven of these coastal AONBs in Cornwall. 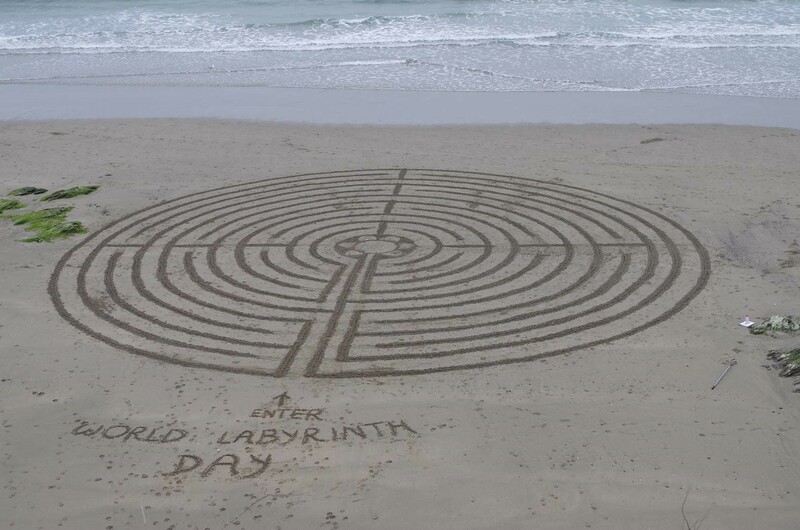 The plan is to launch this year’s Beach Labyrinth AONB project by creating a labyrinth on World Labyrinth Day (on Saturday 4th May), and then through the summer to build one in each of the other AONBs. 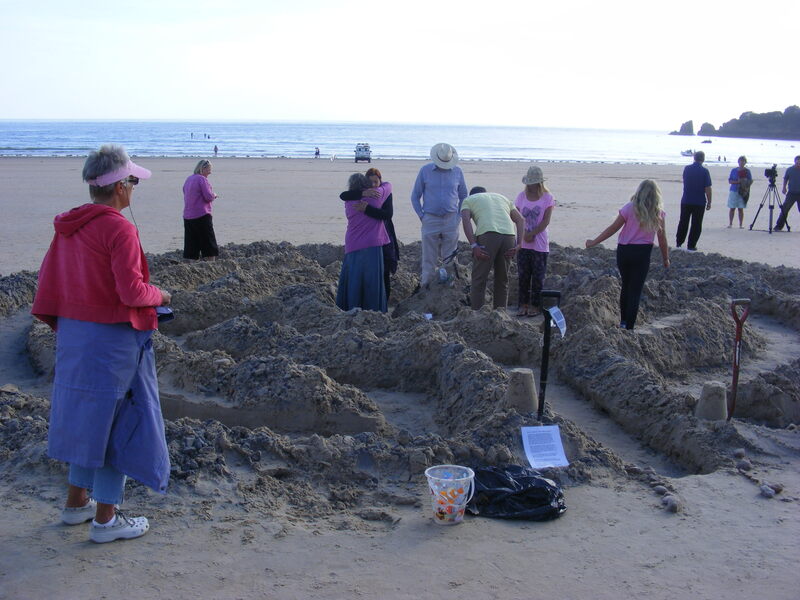 The aim would be to work alongside local church and community groups and Golden Tree to create each labyrinth in the sand and then facilitate them for use for members of the general public for the rest of the day. The total I need to raise for all 11 AONB labyrinths is £2,475. This covers my time in planning each labyrinth, recruiting volunteers, building it on the day and facilitating their use throughout the day. This funding campaign is for the first one, costing £225. If we go over target, more labyrinths will be built. 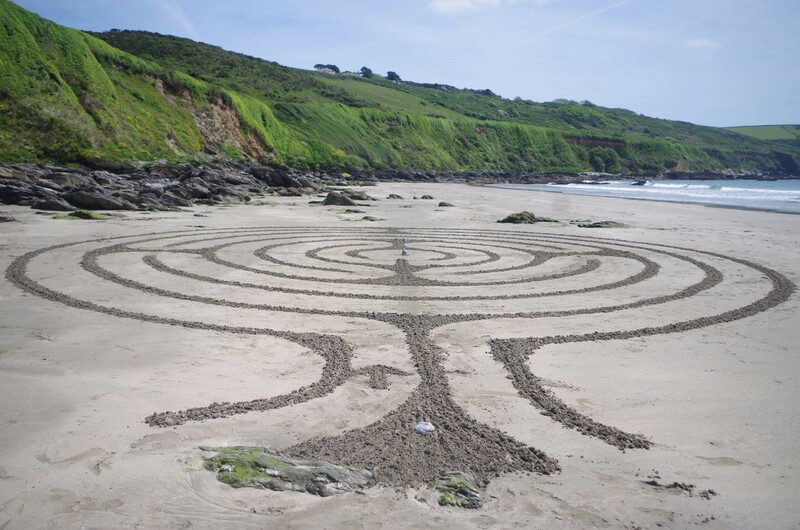 Before going freelance, I’ve created around 90 public beach labyrinths over the last few years across Cornwall and the Isles of Scilly in more than 20 locations (plus a few other labyrinth creations in such places as Jersey, Southport, France and Oregon, USA). 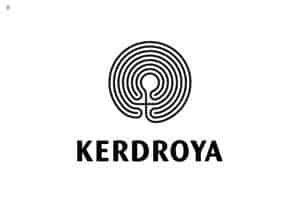 To date more than 7,000 people have walked these labyrinths, with many testifying as to how profound and helpful they found the experience. I use rubbish on the beach as a metaphor to represent issues or concerns that people have. A (safe) item is carried by each participant and they have the opportunity to reflect as they meander through the switchback path to the centre of the labyrinth. At the centre a driftwood cross is made, and participants are invited to let go of their rubbish, symbolically releasing their concerns and issues too. On the way back out, participants are invited to take a stone with them to think of something solid and secure they might like to do or change in their lives. It's an activity that almost everyone can relate to. I frequently find that children and family groups enjoy the experience as well as individuals or older people, it’s truly an inter-generational event that can be appreciated on many different levels – it’s thought provoking, prayerful and calming, but it’s also enjoyable and fun to negotiate. There is also an important environmental aspect, in that all the rubbish used found on the beach is all bagged up and disposed of safely and appropriately at the end of each session – so that’s over 7,000 pieces of rubbish so far that are not now littering our beaches or contaminating the oceans as a result of Beach Labyrinth. I have a number of different designs that I’ve used, which I intend to use though this programme of AONB labyrinths this summer. If you pledge £20 to the project I will send you a bespoke Beach Labyrinth wristband (complete with mini labyrinth design)– unique to the Beach Labyrinth project! 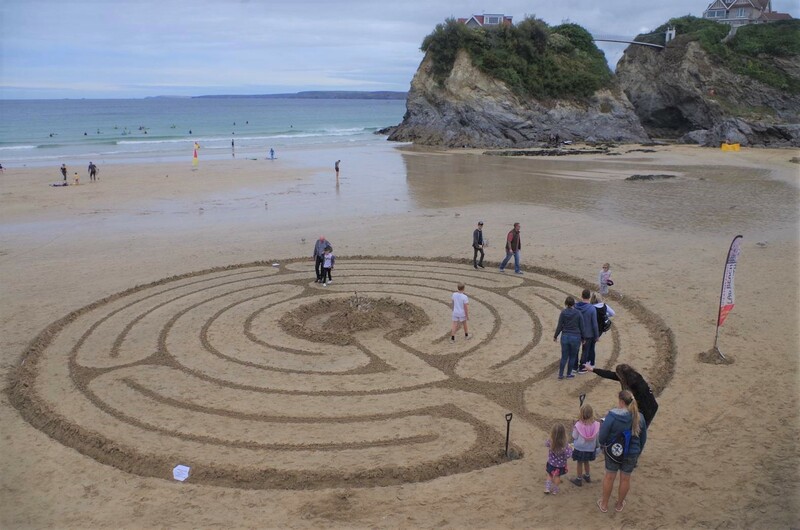 If you pledge £50 to the project as well as a Beach Labyrinth wristband, you will be invited to come and participate in a Beach Labyrinth creation at one of the beaches, or if you prefer, receive a picture postcard of a Beach labyrinth. 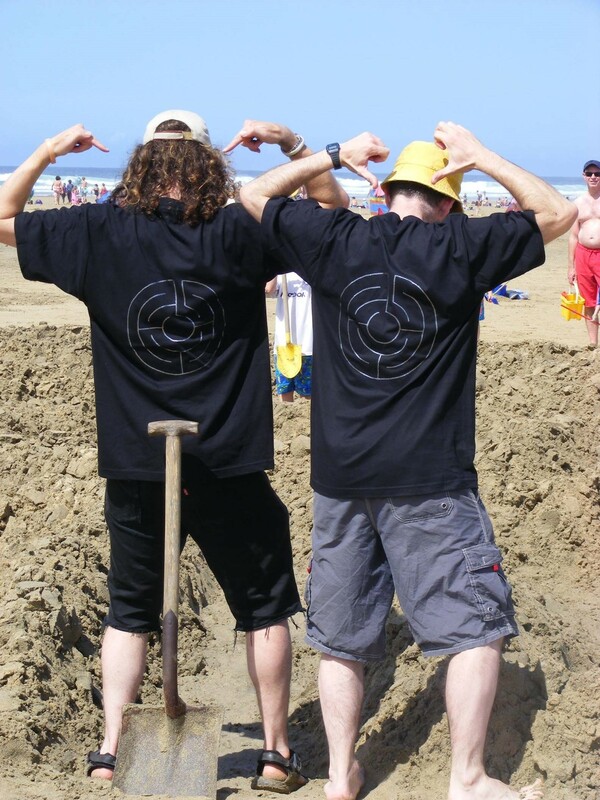 Largest donation (over £50) gets a Beach Labyrinth T-shirt, complete with labyrinth design on the back and Beach Labyrinth written on the front (silver writing on black). A bespoke Beach Labyrinth wristband (complete with mini labyrinth design)– unique to the Beach Labyrinth project! 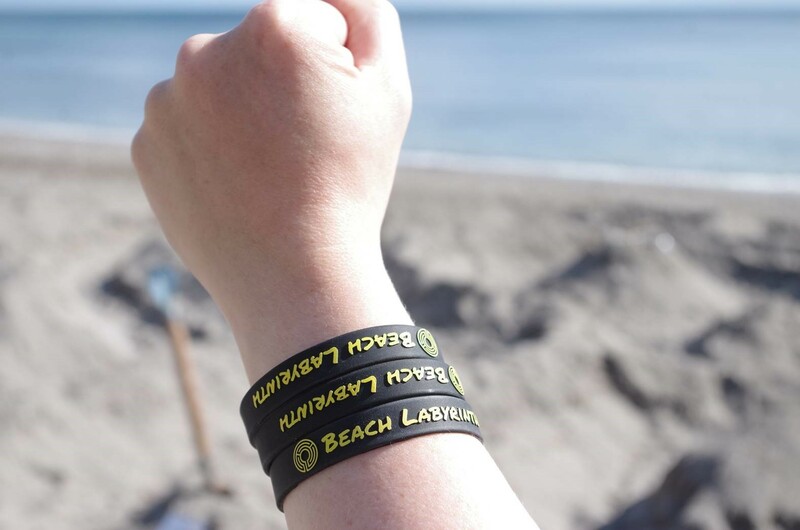 As well as a Beach Labyrinth wristband, you will be invited to come and participate in a Beach Labyrinth creation at one of the beaches, or if you prefer, receive a picture postcard of a Beach labyrinth.